Drivers keep killing seniors in southern Brooklyn and the NYPD’s response was to admonish seniors to be more careful crossing the street. NYC seniors are disproportionately victimized by traffic violence. 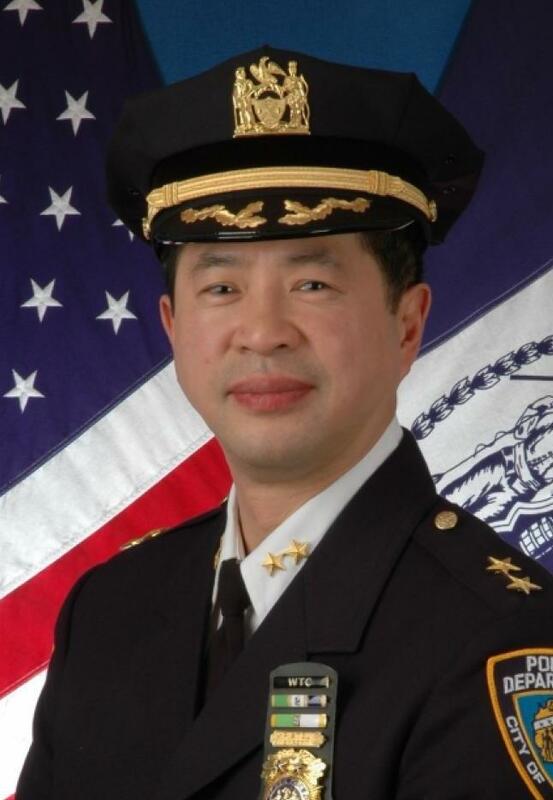 Does NYPD Chief of Transportation Thomas Chan think bright clothing is the answer? DNAinfo reports that as of September 9, eight of 15 pedestrians killed by drivers this year in the Brooklyn South command were age 65 or older. Got that? NYPD says it’s up to seniors to avoid being struck by drivers even when on the sidewalk. Streetsblog has tracked six crashes that claimed the lives of senior pedestrians so far this year in Brooklyn South. Three of the victims were age 90 and older. In at least four cases, the victim was reportedly proceeding with the right of way when she or he was hit. Three victims were hit by drivers making turns, and in two cases drivers struck the victims while backing up. This is consistent with city studies showing that motorist behavior is the primary factor in most crashes that injure pedestrians. Of the six aforementioned crashes, only one victim was reportedly not following traffic rules: Iris Rhooms, age 91. NYPD told the press Rhooms was “outside of the crosswalk” when she was hit, but as usual police did not say how fast the driver was going or how the driver failed to see a 91-year-old woman crossing the street. Enforcement of dangerous traffic violations in Brooklyn South, meanwhile, varies from precinct to precinct. In the 62nd, where a driver backed over 76-year-old Galina Shibayeva, local officers issued 147 speeding tickets and 312 failure to yield summonses through August. During that same time frame, officers in the 70th Precinct, where a FedEx driver hit 90-year-old Lubov Brodskaya in a crosswalk, issued 728 citations for failure to yield and 351 speeding summonses. What’s happening this year in Brooklyn South is not unusual. Year after year, seniors in New York City suffer disproportionately from deadly traffic violence. According to a 2014 report from the Tri-State Transportation Campaign, people in Brooklyn age 60 and older are killed by drivers at four times the rate of younger residents, and the fatality rate increases for Brooklynites age 75 and up. To make streets safer for seniors, TSTC recommends investments in infrastructure, including clear crosswalk markings, longer crossing signals, and pedestrian islands — measures that, along with traffic enforcement, are proven to reduce traffic deaths and injuries. Fussing at 90 year olds who are already following traffic rules isn’t going to make a difference. Why are you so hard on Chief Chan? He’s doing A TON to reduce pedestrian fatalities! This victim blaming has to stop. If we can’t make walking safe for the most vulnerable, if the best we can do is say “be careful” [unless you’re driving], that’s just pathetic. Chief Thomas M. Chan: When you leave the house in your wheelchair remember to always wear a helmet and high visibility clothing! I feel bad for Chan. I think he wants to do the right thing but he there is no leadership at City Hall on Vision Zero so no one is telling Chan what the right thing is to do. Making matters worse, Chan is not a creative or curious man and therefore has no idea how to make streets safer and no apparent ability to learn or change. So, we end up with precincts harassing citizens with useless summonses to meet Chan’s Vision Zero quotas and when that fails — as, of course, it will — they blame the victims. Some “jaywalking” is good in that a little unpredictability makes everyone more cautious. Goes along with the demonstrated idea that removing pavement markings and traffic control devices makes everyone slow the hell down and pay attention. If Chief Chan would meet with advocates and others who know a lot about this topic, he might find a lot of people willing to help him. Unfortunately, his officers engage in so much pointless enforcement that all he’s getting right now is cynicism. He could easily turn this around if he was interested in trying. Which of these precinct captains have been arrested for harassing pedestrians? You need a police force to arrest the NYPD.